Esta es una lista de algunas de mis publicaciones científicas más recientes relacionadas con la investigación del cerebro, en colaboración con otros investigadores científicos con los que he trabajado y trabajo. Todas las publicaciones están en inglés (el idioma en el que se publica la gran parte de la Ciencia Experimental). Se pueden consultar también en Orcid, una base de datos para investigadores, aunque allí también encontraréis otras de mis publicaciones no relacionadas con el cerebro. No dudéis en poneros en contacto conmigo si queréis información adicional al respecto. Estrogen Interactions With Lipid Rafts Related to Neuroprotection. Impact of Brain Ageing and Menopause. Marin R, Diaz M. Front Neurosci. 2018 Mar 6;12:128. doi: 10.3389/fnins.2018.00128. Lipid raft ER signalosome malfunctions in menopause and Alzheimer’s disease. Canerina-Amaro A, Hernandez-Abad LG, Ferrer I, Quinto-Alemany D, Mesa-Herrera F, Ferri C, Puertas-Avendano RA, Diaz M, Marin R. Front Biosci (Schol Ed). 2017 Jan 1;9:111-126. Lipid Raft Alterations in Aged-Associated Neuropathologies. Marin R, Fabelo N, Fernández-Echevarría C, Canerina-Amaro A, Rodríguez-Barreto D, Quinto-Alemany D, Mesa-Herrera F, Díaz M. Curr Alzheimer Res. 2016;13(9):973-84. Review. Raquel Marín. 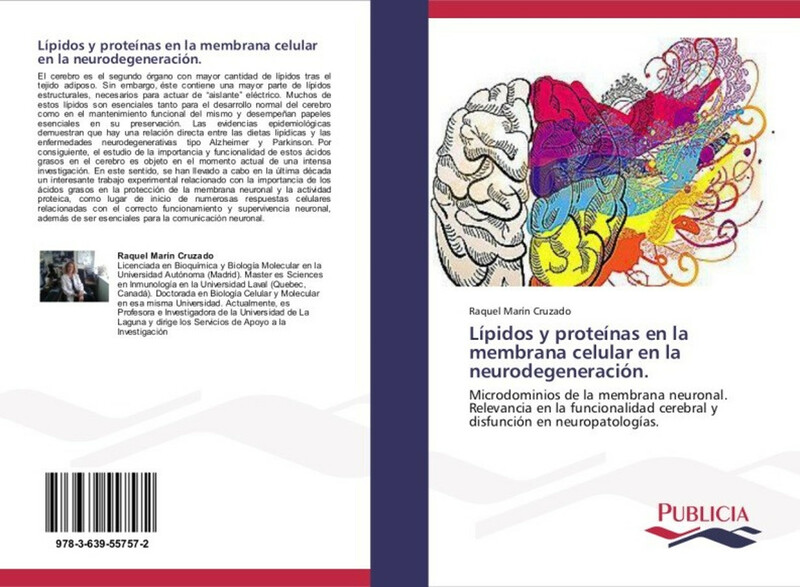 Lípidos y proteínas en la membrana celular en la neurodegeneración. Publicia. ISBN 978-3-639-55757, OmniScriptum GmbH & Co. KG, 30/05/2014. Hippocampal Lipid Homeostasis in APP/PS1 Mice is Modulated by a Complex Interplay Between Dietary DHA and Estrogens: Relevance for Alzheimer’s Disease. Díaz M, Fabelo N, Casañas-Sánchez V, Marin R, Gómez T, Quinto-Alemany D, Pérez JA. J Alzheimers Dis. 2015;49(2):459-81. doi: 10.3233/JAD-150470. Mario Diaz; Raquel Marin. 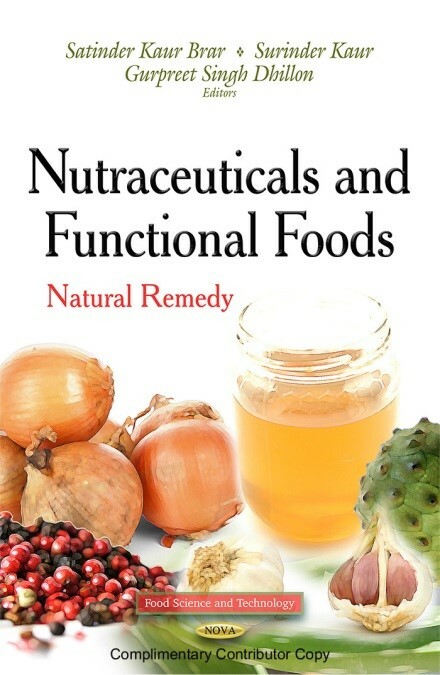 Brain Polyunsaturated Lipids and Neurodegenerative Diseases. 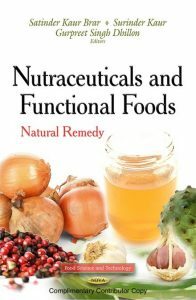 Nutraceuticals and Functional Foods: Natural Remedy.8 – 18, pp. 978-1-62948-793-9. Nova Publishers, 03/02/2014. Aβ promotes VDAC1 channel dephosphorylation in neuronal lipid rafts. Relevance to the mechanisms of neurotoxicity in Alzheimer’s disease. Fernandez-Echevarria C, Díaz M, Ferrer I, Canerina-Amaro A, Marin R. Neuroscience. 2014 Oct 10;278:354-66. doi: 10.1016/j.neuroscience.2014.07.079. Biophysical alterations in lipid rafts from human cerebral cortex associate with increased BACE1/AβPP interaction in early stages of Alzheimer’s disease. Díaz M, Fabelo N, Martín V, Ferrer I, Gómez T, Marín R. J Alzheimers Dis. 2015;43(4):1185-98. doi: 10.3233/JAD-141146. Addition of docosahexaenoic acid, but not arachidonic acid, activates glutathione and thioredoxin antioxidant systems in murine hippocampal HT22 cells: potential implications in neuroprotection. Casañas-Sánchez V, Pérez JA, Fabelo N, Herrera-Herrera AV, Fernández C, Marín R, González-Montelongo MC, Díaz M. J. Neurochem. 2014 Nov;131(4):470-83. doi: 10.1111/jnc.12833. Raquel Marin; Mario Diaz. Neuronal lipid rafts perturbations as key elements of early neurodegeneration: a challenge in the search of new tools for early diagnosis. Lipid rafts (Dan Sillence, editor). ISBN 978-1-62948-961, pp. 219 – 247. Nova Science Publishers, 01/04/2014. Altered lipid composition in cortical lipid rafts occurs at early stages of sporadic Alzheimer’s disease and facilitates APP/BACE1 interactions. 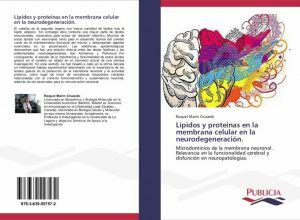 Fabelo N, Martín V, Marín R, Moreno D, Ferrer I, Díaz M. Neurobiol Aging. 2014 Aug;35(8):1801-12. doi: 10.1016/j.neurobiolaging.2014.02.005. The neuronal membrane as a key factor in neurodegeneration. Marin R. Front Physiol. 2013 Jul 18;4:188. doi: 10.3389/fphys.2013.00188. No abstract available. Oestrogens as modulators of neuronal signalosomes and brain lipid homeostasis related to protection against neurodegeneration. Marin R, Casañas V, Pérez JA, Fabelo N, Fernandez CE, Diaz M. J Neuroendocrinol. 2013 Nov;25(11):1104-15. doi: 10.1111/jne.12068. Review. Lipid raft disarrangement as a result of neuropathological progresses: a novel strategy for early diagnosis? Marin R, Rojo JA, Fabelo N, Fernandez CE, Diaz M. Neuroscience. 2013 Aug 15;245:26-39. doi: 10.1016/j.neuroscience.2013.04.025. Review. Genotype-induced changes in biophysical properties of frontal cortex lipid raft from APP/PS1 transgenic mice. Diaz ML, Fabelo N, Marín R. Front Physiol. 2012 Nov 27;3:454. doi: 10.3389/fphys.2012.00454. Evidence for premature lipid raft aging in APP/PS1 double-transgenic mice, a model of familial Alzheimer disease. Fabelo N, Martín V, Marín R, Santpere G, Aso E, Ferrer I, Díaz M. J Neuropathol Exp Neurol. 2012 Oct;71(10):868-81. Estrogen receptors in lipid raft signalling complexes for neuroprotection. Marin R, Marrero-Alonso J, Fernandez C, Cury D, Diaz M. Front Biosci (Elite Ed). 2012 Jan 1;4:1420-33. Review. Signalosomes in the brain: relevance in the development of certain neuropathologies such as Alzheimer’s disease. Marin R. Front Physiol. 2011 Jun 3;2:23. doi: 10.3389/fphys.2011.00023. Severe alterations in lipid composition of frontal cortex lipid rafts from Parkinson’s disease and incidental Parkinson’s disease. Fabelo N, Martín V, Santpere G, Marín R, Torrent L, Ferrer I, Díaz M. Mol Med. 2011 Sep-Oct;17(9-10):1107-18. doi: 10.2119/molmed.2011.00119. Estradiol and tamoxifen differentially regulate a plasmalemmal voltage-dependent anion channel involved in amyloid-beta induced neurotoxicity. Herrera JL, Fernandez C, Diaz M, Cury D, Marin R. Steroids. 2011 Aug;76(9):840-4. doi: 10.1016/j.steroids.2011.02.014. Review. Voltage-dependent anion channel as a resident protein of lipid rafts: post-transductional regulation by estrogens and involvement in neuronal preservation against Alzheimer’s disease. Herrera JL, Diaz M, Hernández-Fernaud JR, Salido E, Alonso R, Fernández C, Morales A, Marin R. J Neurochem. 2011 Mar;116(5):820-7. doi: 10.1111/j.1471-4159.2010.06987.x. Review. Lipid alterations in lipid rafts from Alzheimer’s disease human brain cortex. Martín V, Fabelo N, Santpere G, Puig B, Marín R, Ferrer I, Díaz M. J Alzheimers Dis. 2010;19(2):489-502. doi: 10.3233/JAD-2010-1242. VDAC and ERalpha interaction in caveolae from human cortex is altered in Alzheimer’s disease. Ramírez CM, González M, Díaz M, Alonso R, Ferrer I, Santpere G, Puig B, Meyer G, Marin R. Mol Cell Neurosci. 2009 Nov;42(3):172-83. doi: 10.1016/j.mcn.2009.07.001. Role of estrogen receptor alpha in membrane-initiated signaling in neural cells: interaction with IGF-1 receptor. Marin R, Díaz M, Alonso R, Sanz A, Arévalo MA, Garcia-Segura LM. J Steroid Biochem Mol Biol. 2009 Mar;114(1-2):2-7. doi: 10.1016/j.jsbmb.2008.12.014. Modulation of Abeta-induced neurotoxicity by estrogen receptor alpha and other associated proteins in lipid rafts. Marin R, Ramírez C, Morales A, González M, Alonso R, Díaz M. Steroids. 2008 Oct;73(9-10):992-6. doi: 10.1016/j.steroids.2007.12.007. Review. Voltage-dependent anion channel (VDAC) participates in amyloid beta-induced toxicity and interacts with plasma membrane estrogen receptor alpha in septal and hippocampal neurons. Marin R, Ramírez CM, González M, González-Muñoz E, Zorzano A, Camps M, Alonso R, Díaz M. Mol Membr Biol. 2007 Mar-Apr;24(2):148-60.